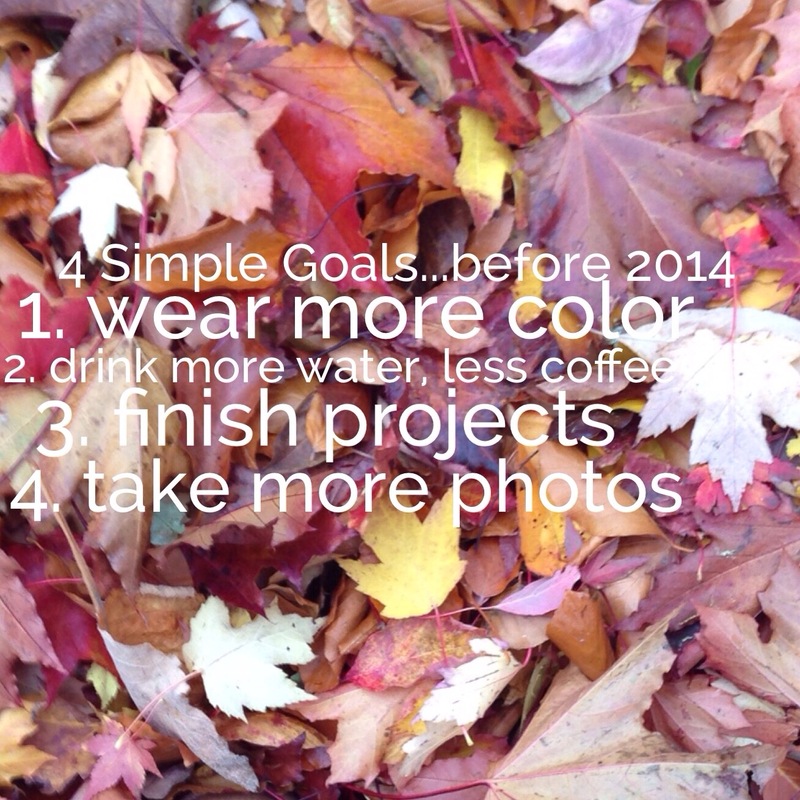 It has been over a month since the start of 4 Simple Goals: Before 2014. I have deemed today, check in day. It’s a Monday and it feels right. The last month has been extraordinarily busy for us with the usual holiday hustle, a family visit under our belts, and for the cherry on top, my office has moved locations over the last week. First and foremost, I couldn’t be happier that these are the things keeping me busy, and these are not excuses…okay, maybe they are just a little. To refresh your memory, these are my 4 Simple Goals. Number 1 // I have definitely been wearing more color, but most importantly, I have been more aware about what I am choosing to wear. Getting dressed with purpose ensures that I feel confident about my appearance, and that always gives me a boost to smile a little more and approach the day with some gusto. This is a totally personal thing and may not do the trick for you, but it’s working for me. Number 2 // I gotta tell you…I don’t know that I’m doing any better with this. Pre 4SG, Coffee = 12-16 oz a day, Water = 60 oz a day. Deep into 4SG, Coffee = 12 oz a day, Water = 70 oz a day. I have a 20 oz water bottle and I can’t seem to drink that last 10 oz. Hooray for small improvements? Number 3 // Oh, tray table. I just can’t seem to catch a break on this project. I will finish it by the end of 4SG though! 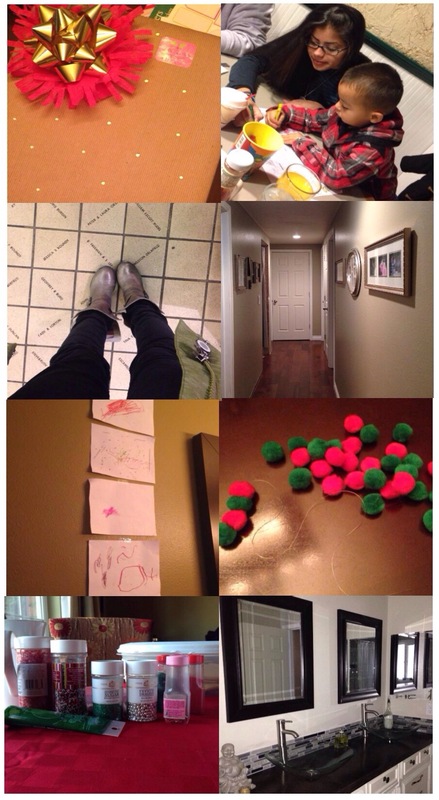 We did accomplish a lot last week, with the arrival of house guests comes cleaning, organizing and productivity. We hung photos down the hall, FINALLY. We also organized the magazine/office supplies/computer/printer bookshelf and it looks a million times better. So, progress is good for number 3. Number 4 // I’m rocking it. The only time I dropped the ball as of late was on cookie day (my phone died and I forgot the big camera) and on the chocolate bark. Other than that, I’ve been all over it and loving it. So, here it is, a little 4SG progress in collage format. How is your 4SG challenge going?